Stunning Acrylic Box Case Frames. 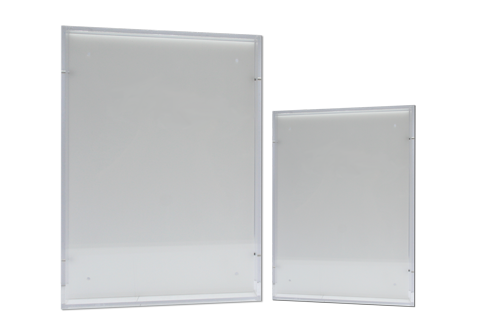 These acrylic cases display your work on a white acrylic backing board which is then screwed to the clear cast acrylic case. Your work can be viewed through the clear sides and from the front in the most contemporary frame style. The frame is supplied with intergrated keyhole hangers and the screws on the side can easily be tightened or loosened to allow you to hang your artwork in the interior space, they are then hidden in the white background. Simply float your image on the white acrylic backing board with an acid free tape.